New antioxidant series for automotive PU foams emits 95% less volatiles. Developed to meet the challenges faced in automotive applications, the Naugard Foamplus LE portfolio consists of ultra-low emissive stabilization packages enabling the entire value chain to be compliant with the ever-stricter national legislations on vehicle indoor air quality (VIAQ). “The new products are drop-in solutions that emit 95% less VOC and FOG emissions,” says Irfaan Foster, General Commercial Manager at Addivant. “And this comes with no downside in performance, with scorch protection and polyol stability equivalent to industry standards” he adds. The drop-in replacements for existing stabilization packages allow customers to switch quickly without any investments or plant modifications. Another important advantage of the Naugard Foamplus LE series is that the liquid antioxidants provide improved handling with a better viscosity profile than existing competitive materials. The new solutions are also less volatile than the industry benchmarks at high foaming temperatures, resulting in more than a 90% reduction in volatile organic compound (VOC) and FOG emissions. China is the largest automobile market in the world and it is quickly implementing some of the most stringent environmental and quality standards in the world. Foster notes that Chinese legislation covers ten different chemicals for cockpit VOCs. The Naugard Foamplus LE series has been extensively researched and tested to be fully compliant with the VOC and FOG limits set by Germany’s VDA 278 emission standard which is part of the delivery specifications of leading automobile companies such as Daimler, BMW, Porsche, and VW. Furthermore, the new solutions maintain or improve upon the other critical performance parameters required by polyol and polyurethane system houses and foam producers. 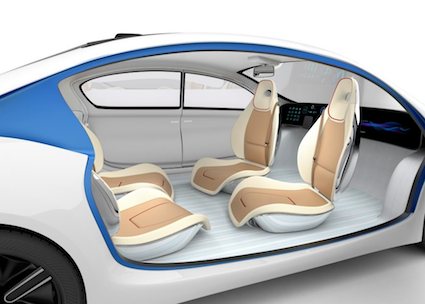 The automotive industry is increasingly replacing traditional materials with polyurethanes to deliver greater comfort, meet higher fuel efficiency standards and provide greater safety and design flexibility.